Are you a real estate property investor? Wouldn’t it be convenient to get the value of your property at the palm of your hand? If you’ve answered “yes” to either of these questions, you are in luck. There’s an app for that! Financial analysis apps offer investors a huge advantage, enabling the user to conduct more business on the go and in real time, without having to go back to the office to crunch numbers or generate reports. With these apps, investors can make those split-second decisions on a property bid and close more deals by efficiently obtaining critical information they need in the moment. Real Estate Master IIIx is a simple real estate finance calculator that gives real estate investors, agents and other mortgage industry professionals the ability to provide instant financial answers and expertise to their clients. The app can quickly solve for PITI (Principal, Interest, Taxes, and Insurance) and other hypothetical situations; calculate future value and property appreciation, and show rent vs. buy cost comparisons among many other functions. Data and forms can be easily emailed to clients, allowing agents to instantly answer client questions and close more sales. From the same makers as the Real Estate Master IIIx, comes a more advanced real estate finance calculator app. Ideal for real estate industry professionals, this app provides instant solutions to advanced and complex real estate finance problems. This app also provides information on P&I, PITI, and total loan payments for conventional, FHA and VA loans, cash flow solutions, complete on-the-spot buyer qualifying, and more. Tag Line: Generate meaningful financial analysis of a property on the iPhone! Commercial Real Estate Analysis Your Way HD is an in-depth financial analysis app, analyzing cash flow for commercial real estate investments, leases, and loans, as well as calculating discounted cash flow measures. It includes a five-scenario generator, allowing changes to input that show the impact on metrics in real-time, as well as email capabilities, social media integration, and customizable report generation. Tag Line: The world’s most popular app for evaluating real estate investment properties and projecting cash flows. A user-friendly, yet refined app, for evaluating residential and commercial real estate investments, structuring mortgage financing, and determining pricing based on property valuation metrics. This app includes functionality beyond what other apps offer, such as a Financing Likelihood Indicator, a great way to measure whether financing is feasible. Not to mention, the Real Estate Investing Analyst has a global user base to source and download global property data and assumptions, as well as share data and find buyers or investment partners. Tag Line: It has everything, all that you want for investments and all you need for managing rental property. With over thirty functions, this app has everything you need for managing investments and rental properties. Billed as a ‘Real Estate Decision Support System’ for residential and commercial property owners and investors, this app helps you answer all the most frequently asked questions – How much does it cost? Can I afford it? How much will I make? 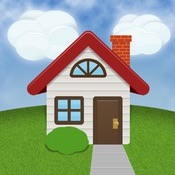 Built for ease of use, this app will help you with all your real estate needs. A commercial site inspection platform combining a mobile app with a web-based project management portal, CSI is a commercial site inspection solution that allows you to perform, review, and report on your site inspections on an efficient and intuitive interface. Upload pictures and maps, easily switch between sites, and generate and email PDF resorts directly to clients. All information collected on the app is synced with the CSI database and accessible via your web-based account, as well. Calling itself ‘the most powerful real estate investment analysis software,’ Property Evaluator allows you to analyze real estate investments on your device and email professional and compelling PDF reports to clients, partners, etc. The app allows you to edit and update information on a property, view performance projections to make clear comparisons between properties, and automatically updates when you change the number of years of the holding period. Designed for real estate investors who flip properties, Property Fixer allows you to analyze a property in 5 minutes – entering some basic information about the property generates an analysis showing profit and ROI for a flip. Allowing you to quickly crunch numbers and conduct due diligence on a property, this app can help investors make a quick decision on a property, or allow an agent to generate and email a flip analysis for their clients, without having to go back to the office. Looking for Real Estate Analysis Beyond the Capabilities of an App? With any of the apps on this list, you will be able to make quick decisions using reliable financial data. However; placing the proper valuation on a property is really just the beginning of your endeavour. Calculating the approximate value of a property can be valuable in a pinch; however, you’ll need a full, in-depth, and accurate appraisal from a professional property appraiser. You may even need future help with property management and development services. That’s when you know it’s time to call The Robert Weiler Company! The Robert Weiler Company will work with you to determine the best course of action, and, if needed, help you develop a customized package of services tailored to suit your needs. Contact The Robert Weiler Company today at 614-221-4286 and discover how they can make your real estate more profitable.